Human brains are designed to pick up patterns and themes, common messages that we can group together. When this process isn’t subconscious and we actually have to think about a motif, we experience a conscious boost of instant gratification when there’s a balance between the ease and difficulty of decoding the message. That’s how my mind organized the beauty of Lonerism – very little effort to crack the code, but enough work to coat my ego into thinking that I’m one with the artists. Between the title and album cover, you arrive on its main thesis: isolation. I get it. As a recent visitor of the Jardin du Luxembourg, it’s a horrifying to imagine being locked out of such a beautiful place, and not only locked out because it’s after hours. The place is packed and you’re on the outside. Even the sign on the gate (which is written in French, but in English means "Dogs, even on a leash, are not admitted beyond this point") is a symbol of your exile. Whether this is a choice or not can be adjusted, and this is proven in the ambivalence in lyrics such as, “I don’t really care about it anyway/I wouldn’t listen to word others say” in tracks like Why Won’t They Talk to Me. For a band that received more than enough attention from their debut album, they set the score for reclusion quite nicely. 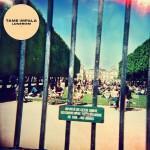 Lonerism takes a snap shot of pop music and places it under the lens of indie-psychedelic classic rock. Kevin Parker’s vocals will get a million Lennon-like comparisons, but that’s not the bread and butter of the pop label. While the melodies here are less deliberate than Innerspeaker, they’re prominent enough to attach to pop, sans the intention of appealing to a bigger audience – this was purely an artistic connection. None of this had anything to do with the mind of the consumer. One of my favorite parts of Tame Impala in general and specifically on Lonerism is their percussion. The basic classic rock beats are there, but there’s enough complexity that you want to dance to the fills alone. It has this odd grounding effect to each track, where you’re letting the trip happen, but you have one foot on the floor, and that foot is attempting to keep each beat in place. Elephant and Apocalypse Dreams are both excellent examples of this grounding effect, but once the synth and other dreamy-electronic touches are exposed, you’re done. Reality over. Find the most amazingly, disturbing fantasy you can warp your mind around and stay there. This album is incredibly intriguing and was executed beautifully. It’s an excellent choice for isolation or acid trips with best friends.